The best budget wines - for under $20. The four best wines for under $20. You're welcome. The wine industry is full of mystery and secrets. Let me let you in on one of mine. You don’t need to buy big commercial brands to get great value white wine. And what’s more, many of those big brand wines are not made in nice little wineries by artistic and interesting winemakers. Instead they are made in wine factories and a brand is created and stuck on the label by big name retailers. Kind of takes the romance out of the glass doesn’t it? But the good news is there is some gems out there that all retail for $20 or less that have loads of personality as well as a good price. Savvy Blanc, the workhorse white wine of women around the world. Although we love our Kiwi cousins, this Nepenthe Savvy from the Adelaide Hills is less like the fruity passionfruit bombs from New Zealand – it’s a bit drier, crisper and a touch more refined. Great on a Friday afternoon as the first glass of pick-me-up (or bring-me-down?) wine. 2. Evans and Tate Metricup Road Chardonnay. 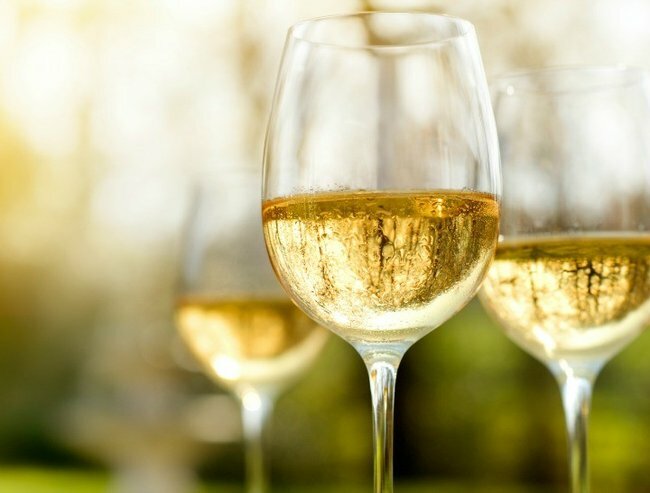 Are you a member of the ABC (Anything But Chardonnay) club? If you are, you might want to try this tidy chardy – it might just change your mind. Metricup is in the heart of Margaret River and is one of the best places to grow Chardonnay in Australia. It is lightly oaked and packed with tropical white peach flavours. Great with chicken, seafood and salads. 3. Jim Barry Watervale Riesling. 4. Vasse Felix Classic Dry White. A WA classic, this blend of Sauvignon Blanc and Semillon says summer by the beach. Serve it nice and cold, but buyer beware, it will go down faster than a hot knife through butter. Many of Vasse Felix’s other wines are much more expensive so this is great value from one of Western Australia’s top wineries. 5. Bird in Hand Rosé. OK its technically pink not white but let’s say #YesWayRosé. A dry style of rosé, wonderful with salmon or any light meat dishes. And the colour just says drink me up or lose me forever. Perfect to drink with the girls (and fun men with good taste). Liz is also a busy mother of three children under eight (all of whom in their own unique and wonderful ways inspired the name of the Wine O’clock Blog…) You can find her blog here, or catch her on Facebook or Instagram.